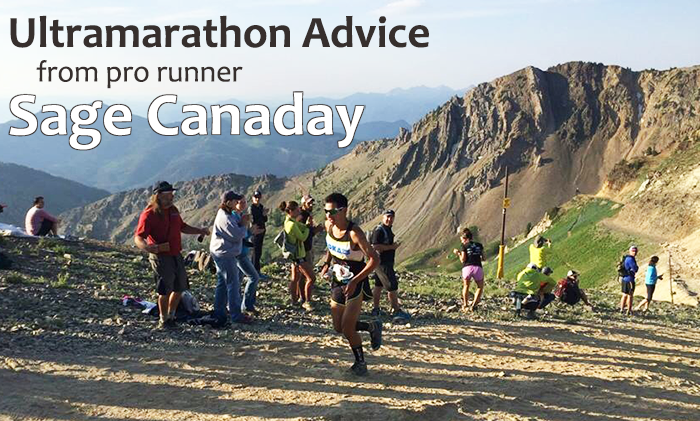 Sage Canaday hasn’t always been an ultra runner. In fact, for many years while running for the Hansons-Brooks Distance Projects Team, his specialty was half and full marathons. Speedy half and full marathons. But even with two Olympic Trials qualifications and a blistering fast 2:16:52 marathon PR, he doesn’t label himself a marathoner anymore. Now his focus is on Mountain Ultra Trail Running (as he calls it, M.U.T. running). And a successful M.U.T. runner he is! With wins in every distance from 50k to 100k, he’s now one of the top ranked ultrarunners in the world. What makes him so fast? I like to believe it’s that speedy road background and deep understanding of running mechanics that sets him apart from other ultra runners. Last week I had the honor of chatting with Sage on a number of issues related to ultrarunning basics and beginner techniques. It’s a fun interview, which I’m excited to share with you today. Or right click here to download and save the full interview. This week Rock Creek Runner is giving away the Premium Coaching Plan ($158 value) to TWO badass runners. I’m having so much fun with the new coaching plans that I want to offer up two more spots absolutely free! Click here to find out more about the giveaway and how you can enter. Contest ends Tuesday, August 19th @ midnight Eastern, and winners will be selected at random and announced via email on Wednesday the 20th. Don’t miss out!